Tung-Sol was one of the smaller quality first line tube manufacturers of the early Radio and TV years. Their tubes were great. These are the only two tube box designs I know of. Tung-Sol's EIA/RETMA code was 322. Tube writing was silver in the older boxes and white in the newer. Date codes were yearweek (no dash), 3 digit and some times letters and numbers. Often a dashed number followed the date indicating during which shift the tube was made. The newer box is the same design used on their fledgling universal semi-conductor replacement line, the TS series. It never took off the way ECG did for Sylvania. Thank you very much for letting me write to you. I do know about the company Tung Sol. The company was first located in Newark, New Jersey, which is South of New York City, N.Y. Tung Sol first started in 1907. This company produced the headlamps which were for the automobiles, in 1912-1913 to about 1918. They also introduced the turn signal lamps, and one which had a two signal flasher in a single bulb. They also made the thing that goes click, click in every American car ever made. They manufactured pilot lamps, as well as lamps for flashlights, and also many kinds of lamps, tubes, and others. They also introduced radio and TV tubes, for the blossoming radio and TV market of the middle 1940's-1950's. They were also partners with RCA to make electron tubes for them. Tung Sol was a very well known company. Many of their tubes today are powering the world's audio amplifiers 45-50 years later. They made very good electron tubes, second to Sylvania, and Telefunken. (Pax-Comm note: I wouldn't call them second to anyone. They were top-of-the-line to me!) The construction of the tubes were produced of the finest materials. The factory in Newark, N.J. closed down years ago and today is not there anymore. Newark, New Jersey was a very well known Industrial city, from the turn of the century till a lot of factories closed up. There is nothing left of the city anymore. Today it is all run down, and it is now a slum area with old rotted buildings, and litter everywhere. They had a lot of very good factories there years ago. Not anymore. Tung Sol was a very good company, and they had a very good workforce. Tung Sol in the year 2007 will be turning 100 years old, and one of the oldest manufacturers of lamps, and electron tubes, the world over. The boxes the tubes came in, had very nice designs on them. One was red, white,and blue while the other one was the purple colored one with the red lettering, and the waveform on top of the box. The last of the waveform one was produced in the 1960's. Since the company was not producing much anymore, it went out of business. 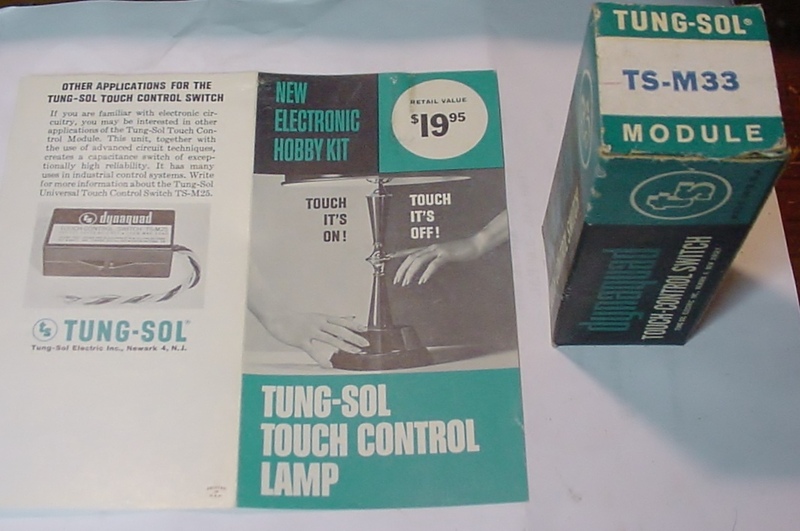 Tung Sol tubes were used in many brands of TV's, Radios, and Hi-Fi sets. They came in many kinds of sizes. From the small ones to the large ones. It would be great if Tung Sol can have a brand new website, dedicated to the company and also its history. Plus also pictures of the old factory what it used to look like years ago. I hope to hear from you. I wish you all of the very best. If you have any comments, please write to me. Thanks. The Tung-Sol name has been purchased by New Sensor Corp. The same parent company as Sovtek and the old Electro-Harmonix. We will see new audio tubes coming out labeled Tung-Sol. Something I have not seen in the T-S history is that they made TV CRT’s tubes on the 2nd floor of the Semiconductor plant in E. Orange NJ. This was just before Color TV took off and they got out of the business and later shut the Semi facility down. Never saw the E. Orange plant mentioned. I thought the Triangle Tube operation was also located there but now somewhat hazy. In 1963 they produced the TSM-33 touch control circuits for Lamps, Urinals, hand washers and other capacity operated switch applications. Pic enclosed.